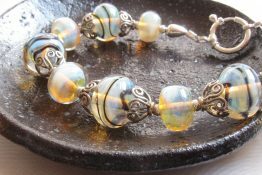 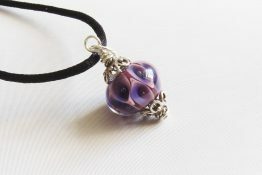 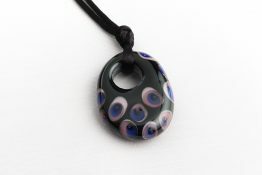 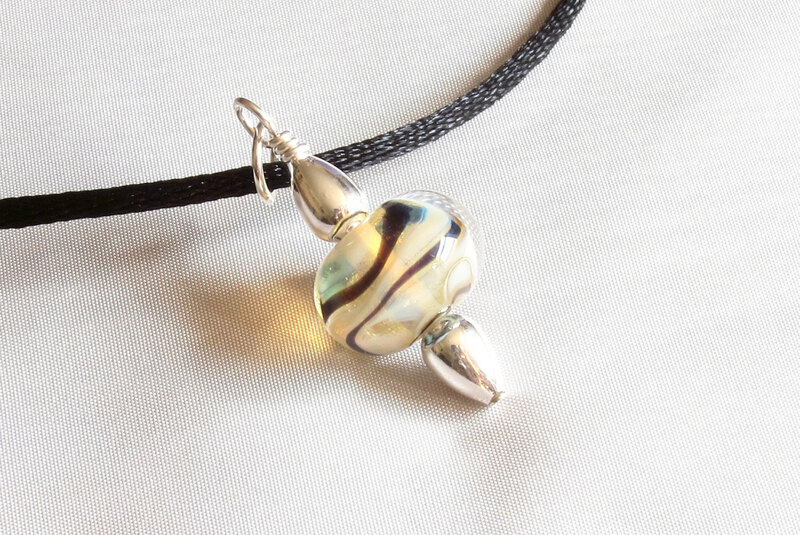 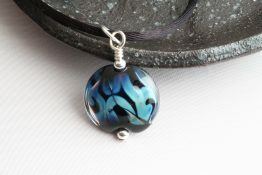 The opalescent black swirled bead is accented with sterling silver in this 1.25″ (3.18cm) pendant on an 18″ (45.7cm) satin cord with a sterling lobster claw clasp. 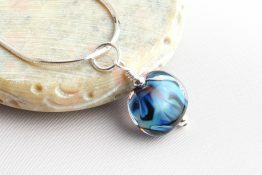 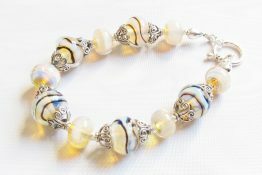 Also available on a sterling silver chain. 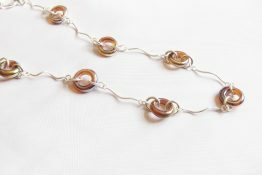 16", 18", 20", 24", 30"